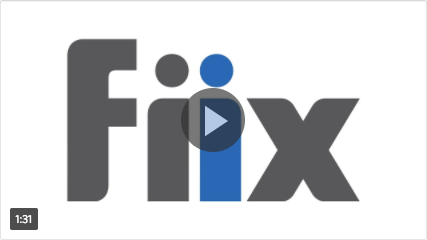 We quickly realized the benefits of rolling this out on our site… we are now reaping the benefits of the automation and functionality that Fiix offers. The level of information we can now capture is infinitely greater than before and the fact that the information is both real-time and accessible 24/7 contributes greatly to the efficiency of our procedures… We are totally convinced that moving our asset maintenance tracking to Fiix has been the right decision. I would recommend this software to anyone. For an organizations like Saint Gobain companies, a cloud-based CMMS is particularly important because it allows maintenance teams to drive productivity by establishing a work order system and setting up a preventive maintenance schedule, reducing the costs associated with reactive maintenance. After you sign up through your customer success manager, a user account will be created. You will receive an email on the steps you need to take to set up your CMMS. Don’t worry—We will be there every step of the way to help. There is an established development team of professionals already working with other maintenance teams within the Saint Gobain group of companies. They will be available to help guide you through getting started, as well as deliver hands-on training. They will also be a support mechanism for your team so you’re not left in the dark. Knowing the value this software is already adding to other maintenance teams, our experts have extensive knowledge to offer and are dedicated to making this solution work for you. The software is easy to use, easy to learn, and will provide you with valuable information that the organization as a whole can use to improve. Yes! There is an Implementation team at Fiix whose sole purpose is to help companies set up and carry out a CMMS successfully. Our instructors will guide you through the implementation process, outlining the most efficient order of operations, as well as best practices and techniques for your team to set up Fiix.